I am deeply honored for the opportunity that Msgr. Ruperto Santos gave me in order to preach in today’s Recollection and to be able to share with you the struggles and graces I’ve encountered and obtained during the past seven years of my priestly service among the uniformed men and women of our country as a Military Chaplain. 2. The identity of the military chaplain and the nature of his work. 3. On the personal note: on the graces or rewards I obtained and on the struggles I encountered as a military chaplain. At the outset, allow me to briefly relate to you the history of my entrance to the Military Ordinariate of the Philippines (MOP) and eventually to the AFP Chaplain Service. I was in my first year theology formation at St. Joseph Regional Seminary in Iloilo City when I met a female cousin who used to work as youth coordinator of the Military Diocese Youth Apostolate (MiDYA). She told many bright things about the Chaplain Service, the Military Diocese and the chaplains themselves. This somehow attracted me to apply to the Military Diocese. I met with the Bishop of Romblon and confided to him my desire to transfer to the Military Diocese. At first he vehemently ignored the idea, telling me that only “bad guys” are sent there; but the “attraction” became more intense and everytime we meet, I “pester” him with this idea. Until one day, he called for me and asked me to make a choice between transferring to the Military Diocese or going to Bidasoa in Spain to continue my formation abroad. Of course, you know what I’d pick! The following School Year, I was already introduced in the seminary as a seminarian from the Military Ordinariate of the Philippines. That’s where my affiliation with the men and women in uniform began. During semestral break and summer vacation, I stayed at the camps, helping the chaplains in the daily routinary activities of the post chapels, teaching catechism to the children of our soldiers, forming ministries such as the altar services, lectors and commentators, etc. Until I was ordained priest in 2000 and was commissioned to the Armed Forces of the Philippines the following year. Many of my friends ask me, what is it in the military service that made me decide to enter the Chaplain Service? I was one of the four seminarians who were sent to Zamboanga in 1996 to spend our summer apostolate there. I was assigned at Edwin Andrews Air Base (EAAB) and during my two months of stay in that dangerous place, observing what the Post Chaplain was doing, I began to understand the need and even more convinced of the necessity of more priests to minister to uniformed men and women serving in dangerous conditions. Where else do we need priests more, than to hear the confessions of people heading out on a patrol or convoy? More than anything else, I viewed military service as a vocation. A vocation of charity and justice. And this brings me to my first point. Among the papers arrayed in organized chaos across my desk, is an excerpt from an unidentified source that reads: “Saints who are soldiers and soldiers who are Saints?” It seems almost contradictory, even absurd to some. Yet it is perfectly logical and consonant with divine order. When speaking of military service as a vocation that belongs to the order of charity, one is struck with an apparent dichotomy of terms. But authentic military service is virtuous, belonging to the orders of charity and justice. Pope Paul VI once said: “If you want peace, work for justice”. Justice indeed is the virtue that motivates most of our military personnel who serve to maintain peace in our patria adorada. So also does military service belongs to the virtue of charity, since “no greater love has man than that he lay down his life for the sake of another.” Whether or not one is called to make that ultimate sacrifice, anyone and everyone who dons a military uniform is so willing, all the while family members faithfully pray for their loved one’s safe return home. How is military service defined in the light of the Catholic Faith today? According to the Catechism of the Catholic Church, “those who are sworn to serve their country in the armed forces are servants of the security and freedom of nations. If they carry out their duties honorably, they truly contribute to the common good of the nation and the maintenance of peace (N. 2310).” The true vocation of military service is that of peacemaker. Our Lord himself, in the Beatitudes, says that peacemakers are blessed, sons of God (Matt 5:9). That day when I doned on my GOA (General Officer’s Attire) uniform and had sworn the oath of office into Active Duty as a military chaplain, these things were made clear and held as a constant challenge to me. During the National Congress of the Clergy in 2004, where 98% of the MOP Clergy attended, the Emcee of the program, Fr. Erick Santos, made an uncalled for remark, a joke done in bad taste, which something like this: that “the military chaplains are all present but doing nothing”. Many of the chaplains had walked out of the venue and did not come back anymore. True enough, many do not know, including Fr. Erick, the true identity of the military chaplain and the nature of his work. And here I’ll proceed with the second focus of my sharing. THE IDENTITY OF THE MILITARY CHAPLAIN AND THE NATURE OF HIS WORK. This is our mission: Catholic Chaplains are serving the Catholics in the military on land, in the air, and at sea. Imagine your job is to provide spiritual and emotional support and guidance to a parish of thousands of mostly young men and women. Imagine most of the people in your parish move away every three years and that new people move in. Imagine that you too, must move and start learning the ropes of a new place. And that you are the only priest in the area. That constant change is part of the everyday life and work of Catholic Chaplains in the military. Unlike a priest in a civilian parish, chaplains in the Army, Air Force, Navy, Marine Corps and Coast Guard must work with a constantly changing group of people. It is a personal ministry of presence, caring for the needs of catholic military personnel and their families. The work of chaplains is not confined to the chapel. We go wherever our people are—in a tent or foxholes on the mountains of Cordelliera or Basilan , on the deck of C-130, over the sea aboard a Navy ship, in the barracks on base, on a fire-fighting line, in the VA hospital, in the halls of the General Headquarters. Because military service requires extraordinary sacrifices of those who serve and their families, chaplains strive to make them-selves available and present, day or night, to offer guidance, education, and direction on church doctrine or simply to listen. Through their words and actions, they provide a place where those in the military can take comfort in and draw strength from the sacraments and reflect on the responsibilities and challenges they have taken on to protect their fellow Filipinos. The more than a million Catholics served by chaplains are a diverse group: soldiers and policemen, regular and reserve services, new citizens, young people from cities and farms, veterans, people in positions of command, mothers and fathers, both young and old. Chaplains often speak about the exciting, creative nature of their ministry. They seek ways to reach out and connect with the different people they serve on a personal level, an opportunity they note is hard to come by in a civilian parish. Personally, I see chaplains as a "necessity" in the military. Chaplains are much more that just an ordinary priest. They are there as 'force multipliers.' Chaplains offer an ability to assist and aid a Commanding Officer to be sure his soldiers are being taken care of. The Chaplains' work enables a unit to be closer and more effective. A good Chaplain with a good Commanding Officer is what we call a 'force multiplier.' Chaplains are able to talk to individuals on a different plane than anyone else in the military. The chaplain can help military personnel work through their personal issues, problems and concerns in a different manner. That is why they are so important. 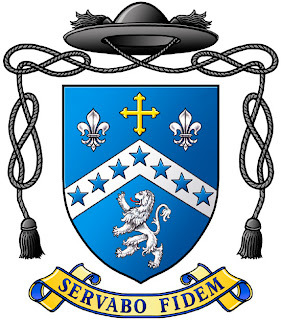 Vocati ad servitium, “Called to serve”. This is how I see my and my fellow chaplains’ vocation in the military service. For us who are called, the journey is, in some ways, quite different from the civilian version of religious calling. Those who answer the call are willing to accept the rigors of military life. Chaplains live and work where the soldiers do, which enables them to share some very unique activities. When I was assigned in Mindanao as an Army Brigade Chaplain of the 52ND Engineer Brigade, Philippine Army, many times I joined the armies eating MREs (meals, ready to eat), running with soldiers during PT or Physical Training, going out on hikes shouldering a heavy backpack, and sleeping outside in every conceivable kind of weather. I learned that the most effective way to make that army connection is through what they call a "ministry of presence" in which a Chaplain is present everywhere, from the Chow Hall to PT, from the squad bay to the firing range. All the while, the Chaplain sows the seeds of trust. Through familiarity, eventually the soldiers welcome the chaplain, sharing their thoughts and the events of their lives. In a special way, these words may be applied to the life of a military priest who spends his days ministering to the needs, not only spiritual, of the ones committed to his care. He is offered so many special rewards, opportunities and blessings. I can say this having served for seven years as a happy priest in the Philippine Army. On the personal note: ON THE GRACES OR REWARDS I OBTAINED AND ON THE STRUGGLES I ENCOUNTERED AS A MILITARY CHAPLAIN. Graces and rewards - there are so many of these that it is difficult to enumerate them. Prime among them is being able to work with the finest men and women of our land and being able to help them grow and mature with a stronger religious background. My duties took me to many strange places where I had an opportunity to help these men and women. Notice I do not say “young men and women”; that would be exclusive. I have been associated with men and women of all ages and both groups were outstanding. I remember one occasion in particular. I was flying in a helicopter from Zamboanga City to Basilan to bless the remains of the soldiers who were killed in a heavy encounter with the Abu Sayyaf. On my side was a gunner, a young lad who seemed to be looking me over quite closely. He said to me “Father, would you hear my confession?” I was surprised; not at the request, but the location we were both in was different to say the least. I said “sure” and heard it. Afterwards, the young lad looked much more at ease - he was even smiling as he faced his tough job. Boy, did I feel great! One special privilege a military priest has is to meet very interesting people along the way. I can remember one time having the Army Chief of Staff visiting my simple church to attend the Simbang-Gabi, ate pandesal together with the local folks and really enjoying himself. Another occasion was when I had breakfast at the home of the AFP Chief of Staff whose guest was the Secretary of Defense. Still another was when I blessed the housing project for the soldiers with no less than the President of the Philippines and her Vice President and shared table with them during the boodle fight. I could go on forever, but neither time nor attention (yours) will permit it. Suffice it to say that any priest who has the opportunity to serve in the military, be it Army, Navy, or Air Force, should thank God for this blessing. The other side of the life of a priest in the military is his perennial struggle against the reality of suffering, danger and death aside from the menial issues of relationship towards fellow chaplains of diverse orientations, towards people in authority, on the conflict which arises from having dual personality (priest and military officer at the same time), etc. Let me just share two prime struggles that I have vis-a-vis my work in the military camps. Firstly, when I was sent to Basilan to bless the corpses of the soldiers who were killed in an encounter with Abu Sayyaf. I am not afraid of corpses, but my heart is weak at the sight I beheld when soldiers honored their fellow soldiers killed in combat. After some moments of private prayer, the soldiers began to gather at the Session Hall where the corpses were laid. I read the Prayer of Blessing for the Dead and sprinkled Holy Water on each coffin. The symbols of our battlefield memorial speak to the deeper sentiments of our soldiers. The helmet and IDs signify the fallen soldier's identity. The combat boots represent the final march of his last battle. And his inverted rifle stucked in the ground signifies a time for prayer - a break in the action to memorialize these fallen soldiers’ ultimate sacrifice. As we prayed for them and eulogized them, I saw tears roll down the distraught faces of the silent soldiers. There was a moment of silence. Then a twenty-one gun salute was followed by taps. This becomes a profound and sacred time for all of the soldiers. As a Chaplain, I am pleased to lead these brave men and women in saying their final farewell to their comrades in arms who died in an encounter with the lawless rebels in Basilan. Secondly, preparing soldiers for battle tragically, this scene has taken place several times during my two-month deployment out of our base in Lanao del Norte, which has seen a lot of action. Every time I gather to celebrate the Holy Mass for those soldiers who were Catholic, my soul is filled with anguish to see young men cut down in the flower of their youth for such a noble cause - the defense of one's country and, in our day, an end to the scourge of terrorism. I know that one of the most important persons in the camp is the Chaplain, standing side by side with the soldiers who are in harm's way. For many soldiers, this is the first time that they are confronted with the reality of death and the conviction that the values we hold dear are worth fighting for. I see the soldiers quickly bond to each other during this challenging time that will shape the rest of their lives. They become aware that they possess a spirituality that is starting to come alive, hungering for prayer and direction. All of a sudden attending Holy Mass, going to Confession, reading the Bible, and saying the Rosary have new meaning for them. For this reason, it is very important that I am in contact with our soldiers whenever they are preparing to go into battle. I circulate among them while they are in the staging area, arranging their gear, inspecting their weapons, and listening to the final briefing on their mission. Soldiers tell me stories about their families - how much they miss their wives and children. They ask me, in case anything happens to them, to make sure that their family knows how much they love them. Whenever I announce that any Catholic soldier is invited to come to me for Confession and to receive Holy Communion, they are eager. And after I have administered the sacraments to them, I see confidence and peace on their faces. I will never forget these and similar experiences during my deployment in the southern part of the Philippines. My priesthood deepened in profound ways. It didn't become easier to minister to the wounded, the dying, and their buddies. What happened instead is that I was brought to new levels of awareness of the mystery of suffering and death. I recognized how precious and short life is. I became more focused on who we really are in the eyes of God. It became crystal clear to me that our lives are framed - defined - by the love and mercy of God, for each of us and for the whole world. I saw the impact of the sacraments in the lives of our soldiers. I saw how they were transformed by grace, and this nourished my priesthood. I saw their trust in God and in each other - their willingness to choose sacrifice through selfless service. I am a Chaplain of the ARMED FORCES OF THE PHILIPPINES and a bona fide member of the MILITARY ORDINARIATE OF THE PHILIPPINES. I am presently residing at the Pontificio Collegio Filippino in Rome, Italy for my licentiate studies in Sacred Theology, with specialization in Spiritual Theology, at the Pontificia Universita della Santa Croce. The grandeur of Ancient Rome.